No matter the size, every pond needs to have a solution in place for keeping the water clean, clear and habitable for pond life. The pump/filter/fountain arrangement you choose will work best when matched to your pond requirements so please check the product details carefully for compatibility to your pond size. As well as keeping the water free of debris and waste it is also important to keep it oxygenated to benefit fish and plant life, this can be done using pond air pumps, fountains or UVC. Adding UVC to a filtration system is a popular and straightforward method used to remove algae cells from ponds and keep your water clear. UV light causes algae to clump together making it easy to collect using a standard filter foam. Perfect for coupling up with a filtration system, these UVC units are compatible and very popular with the multi chamber filters. Are you after something easy to install, low maintenance and has a low running cost? Then choose from our solar powered range! We currently have a selection of air pumps and fountains in this range, many of which can be charged up from the mains if required. To give you peace of mind and to ensure an easy installation, a complete set of instructions and a 12 month manufacturers warranty is included with each item. The Electro Pond Air Pump from PondXpert is a reliable/ effective product aimed at improving pond co.. The FeatureFlow Pumps from PondXpert are compact but powerful pumps designed to power either indoor .. The Fountasia Pond Pumps from PondXpert are an easy way to brighten up any pond! The traditional 'T'.. The GreenStop Ultraviolet Clarifying Unit from PondXpert is a great addition to any pond filtration .. The GreenStop Pro UVC Unit is the ultimate clarifier of its type. Containing innovative technology, .. 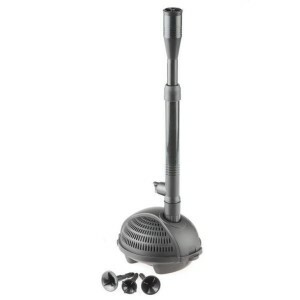 The MightyMite Pond Pump from PondXpert is great value pond pump, perfect for powering water feature.. The MultiChamber Pond Filters from PondXpert come in a variety of different sizes to suit ponds of a.. The FiltoBox from PondXpert is one of the leading multi-chamber filters on the market. It uses a com.. The Skimmster Pond Skimmer from PondXpert is great value pump and skimmer attachment which keeps a p.. The Solar Shower Fountain from PondXpert is an easy and low maintenance way of adding a fountain to .. The SolarAir Float from PondXpert is a simple and quick solution for supplying your pond with additi.. The SolarAir Pumps from PondXpert are solar oxygenators that pump air in your pond to improve pond c.. The Spinclean Pressure Filter range from PondXpert is excellent at keeping large ponds clean and is .. The UltraFlow Eco Filter Pump from PondXpert takes advantage of the newest technologies to save you .. The Pondovario 1000 Fountain Pump will create a beautiful spray fountain of up to 170cm in heig.. The Pondtec 750 is the perfect pump to create a fountain in our smaller raised pond kits. The pump f.. The PowerPump from PondXpert is a heavy duty, high output pump designed for supplying large pond fil.. 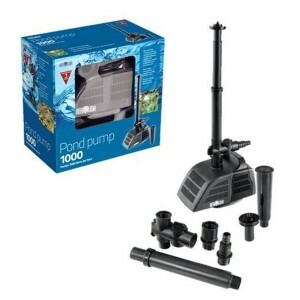 The Triple Action 4000 Pond Pump, Filter and UVC from PondXpert is an all-in-one product that keeps .. The Triple Action 4500 Evolve Pond Pump, Filter and UVC from PondXpert is an all-in-one product that.. The VariFlow Filter Pond Pump is a top-quality, versatile piece of kit that is becoming a firm favou..